We clearly indicate our agency fee to avoid confusing your students. We can send you specfic internship offers via mail and provide personalized searches. Analyzing the applicant profile and stating the students objectives and requirements. We send specific offers to the students which match his criteria. We ask each student for the validation of his desired internship position from the respective University or School before proceeding with the application process. We take care of the internship agreements before it is being signed by the host company. We contact the student at the beginning of the internship to ensure the compliance of the assignments and conditions of the internship in the host company. 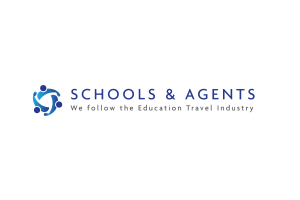 Offer paid internships abroad (choice of destinations) to your students. Check and validate our offers before publication. Make sure your students are in good hands in the host country. Mediation in English or Spanish with the host company if necessary. Cultural and professional experience abroad. A contact person helping during all stages of the recruitment and during the internship. Possibility of several recruitment processes until the right internship has been found. Clear and precise information on administrative procedures and host company / course progress. Many universities, business schools and institutions have trusted us to help them find a suitable internship for their students. Here are the testimonials of their experiences with our service.